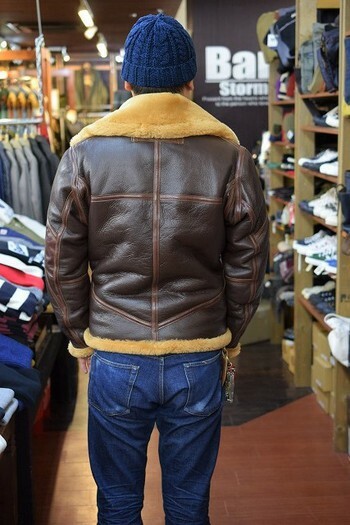 Lancaster aero jackets have arrived from COLIMBO. 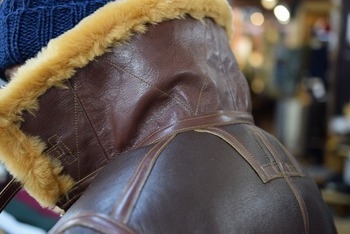 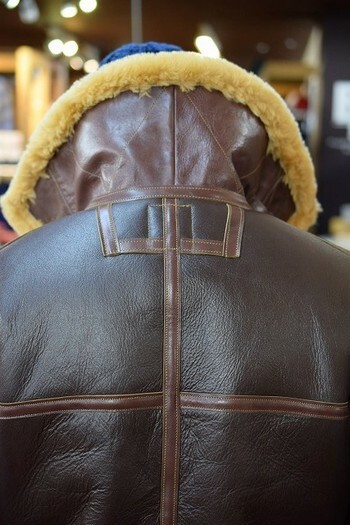 The design is based on flight jackets worn by Royal Air Force during WWII. 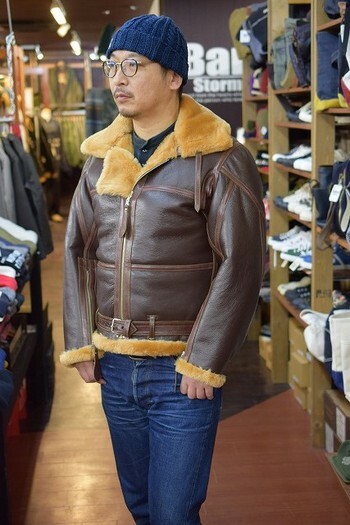 Much more cost has spent for parts and special sewing to produce this jacket than producing B-3. 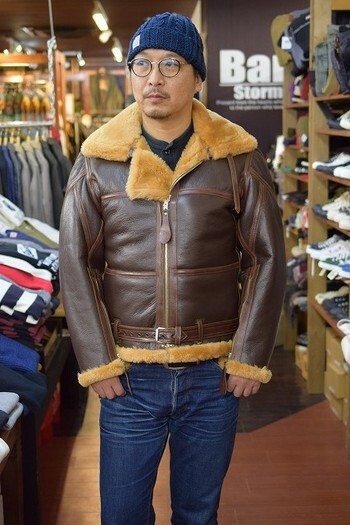 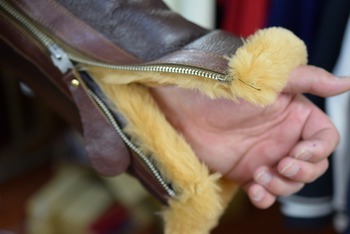 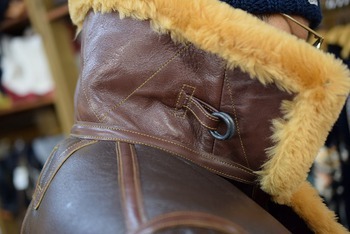 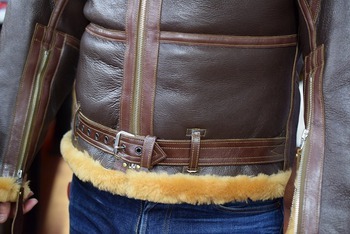 A part of left sleeve is patched with horsehide leather. 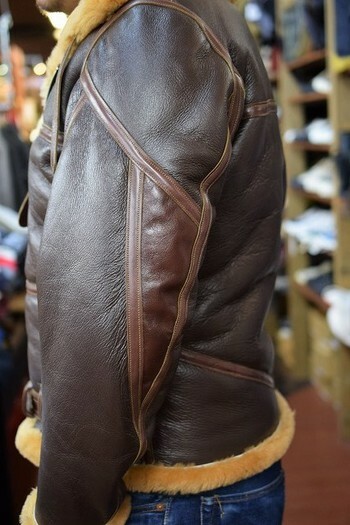 Sleeves are like the ones for Riders jackets. 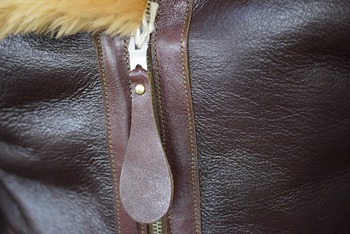 Angled seam tapes make it look slim. 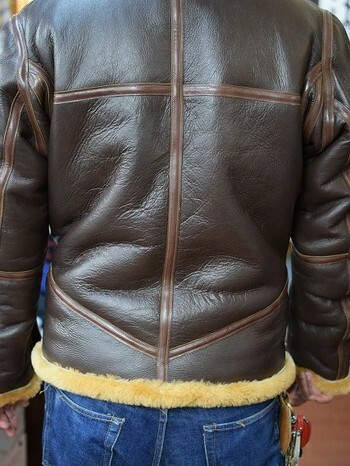 You can feel the enthusiasm of craft workers from any details of this jacket.